Going to start organizing post-event stuff here. For now, here's a poll so I can gauge what to prioritize. If you didn't see the stream that will be uploaded soon. Want to try to fix some of the audio and cut it down a little first. Here are the drawing recipients. Cody Furlong wrote: I would like to suggest that for the next event, there be more advertisements put up ahead of time, in more places. I agree. I would've preferred more time, but circumstances were tight. This was one of those "now or never" situations for the most part. To give you an idea, I'd originally planned to have this occur last September. And, it was also an excuse to field test doing something like this in a real environment under not as critical conditions. I think it'd be fair to call this a practice run. I'll have more details, but from a technical standpoint, almost everything imaginable went wrong. The hour leading up to the live stream was me troubleshooting problems, and it was only in the last 90 seconds that I even knew if it was going to work at all. I'd had a better quality audio capture solution, but it inexplicably failed (I suspect a bug in Air Play - which I might add was not how I'd wanted to do this - I was assured a wired HDMI connection but it turned out to be inaccessible). I had to use my emergency speaker to pass the audio through the mics like an amateur. In total there were about 3 hours I had to spend the night before and another two hours the day of troubleshooting and testing that could've been better spent capturing content, doing interviews, taking photos, etc. (and it was ultimately pointless as I had to resort to the described method). The next time I do this (and I intend for there to be a next time) I just want to bypass the theater and just bring a large display (unless I can get a hard-wired connection). One of the nice things about Twitter is that you don't need an account to see the updates - it's one of the reasons I like to use it - plus it's easy to use in the field (critical for something like this). I also have it embedded in various places like swatkats.info - need to do it here, but have to figure out a workaround that doesn't mess up PHPBB. ...and wasn't a member of this site then. Once all of the recipient's get their coins, there will probably be other opportunities to win one if you haven't already. But, that's a detail for another day. That was pretty good (Television's Lance Falk always steals the show), though I have to admit I was running on empty about that time. It was a long day. It's definitely an element that I'd want to make more integral. When Sage gets a free moment I'm sure she'll add her own details to this thread. Still need the following people to get in contact with me so I can send them their prizes. Check your email/PM inboxes. The following marked in green have been mailed First Class and should arrive at the end of the week. The following are international and I have to fill out a customs form for each one. I should have these in the mail tomorrow. Mailed - it's up to your respective country's postal deities when they arrive. The following either picked up in-person or are having theirs hand delivered. Rusakov wrote: I won something? Huh. Someone must've remembered all of your work coordinating the Reddit AMAs, your extensive work with the SWAT Kats Revival Blog, and your contributions to the letter writing campaign, and submitted your name. That was nice of them to give a shout out to Kristen. She has worked really hard in the fandom. Kudos to her! This was a wonderful event, the coins were a great surprise! You really outdid yourself with this, MoDaD, despite all the glitches you had. The fandom hasn't seen such an event s'far as I'm aware. I wanna personally thank you for the hard work, time and money you've put into this. I'd like to mention, Charlie Adler will be the guest of honor at Anthrocon in Pittsburgh this year for folks who didn't get his signature. Anthrocon is one of the big furry fandom conventions. Last year, Jim Cummings was the GoH. I think it would benefit the series to have the Tremblays and/or Lance to go to various cons. 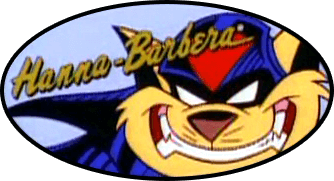 Every one I've sold at, several remember the SWAT Kats and were happy to hear the SKs might be brought back.